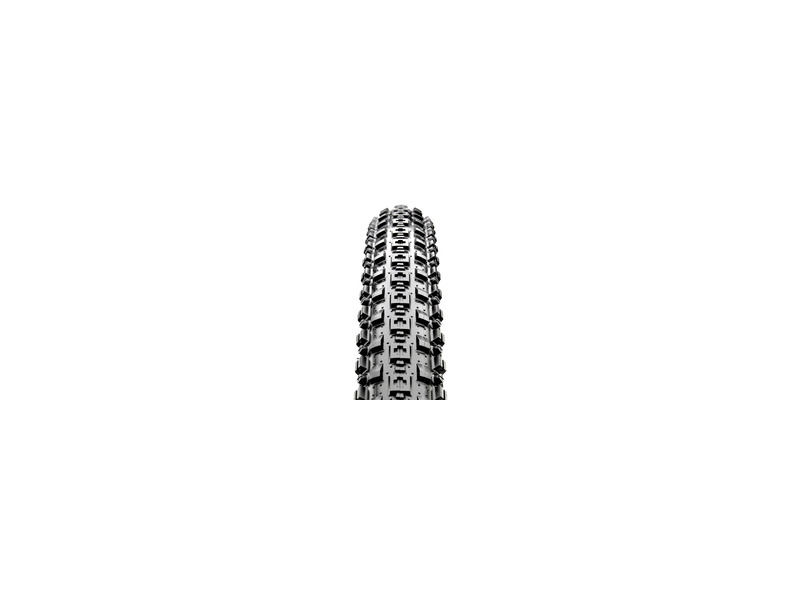 The Crossmark is the dramatic evolution of the Cross Country racing tire. For UST set up, tire will inflate without using a compressor. Sealant is not recommended. In case of flat on a trail, you have to install a tube and repair it once you get home. The most important for me is you dont need to use a compressor to inflate when you are in UST set up. Actually Maxxis only recommend hand pump for inflating. Tire and rim must be lubricated with soapy water before installation. Hope this tire is compatible also with stans sealant. Sweet tire for about the first 50 rides! THESE TIRES ROAD WELL until the tire bubbled in different spots, both tires. I went back to the store were I bought these tires and they told me I must contact Maxxis. I sent Maxxis 3 emails and never got an answer. No sorry No nothing. MAXXIS HAS NO CUSTOMER SERVICE! BECAUSE OF THIS I WILL NEVER RECOMMEND OR BUY MAXXIS TIRE OR ANY PRODUCT. IF YOU BUY MAXXIS AND THE PRODUCT IS POORLY CONTRUCTED YOUR IN BAD SHAPE CAUSE MAXXIS DOES NOT CARE ABOUT THEIR CUSTOMERS. I EMAILED 3 TIME NO RESPONSE! This tire is outstanding for climbing. Seated or Standing it grips well in the dry loose conditions near Bakersfield, Ca. 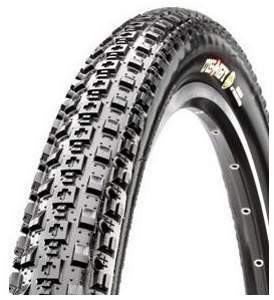 This tire would not hold air while tubeless. I tried different pressures, I had it sealed well, everything that needed to be done to a tubeless tire. I could not get it to stop burping out air, which would lead to flat tires. I added tubes, no flats. The other problem is both of my tires have somehow twisted out of shape. The first one I thought was my wheel. Took it to the bike shop and we realized it was just the tire. We moved it to the front and some of wobble was gone but still noticeable. Last night on the trail I bunny hopped a rut and it was much more extreme. I thought I had bent my rim. No, same thing rim straight, tire weird. Needless to say I am finished with these tires. Going back to my old stand by Panaracer fire 2.4. Was really hoping tubeless would be cool. Ended up a bad trip. Needless to say I am finished with these tires. Going back to my old stand by Panaracer fire 2.4. Was really hoping tubeless would be cool. Ended up a bad trip. Not willing to spend more on something I am not sure of hard to return a tire but I'm going to try. None, not willing to spend more on something I am not sure of. Outrageously fast-rolling tire. I am currently running the 2.25 as a rear with a 2.4 Ardent on the front. I couldn't be more pleased with the setup. The tread holds well during climbs and is surprisingly grippy in the loose-over-hard conditions that dominate nearly every trail in the front range. 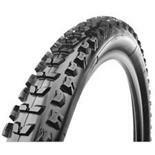 If you ride primarily hard-packed trails and stay away from the mud, these tires are hard to beat. 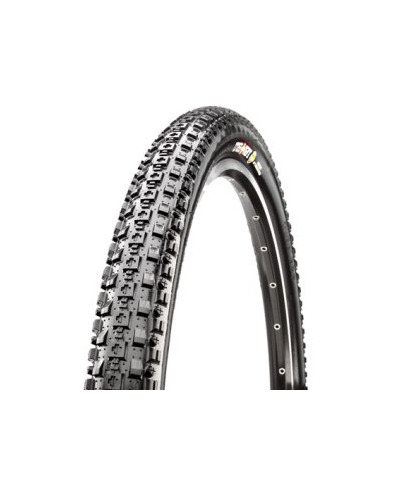 Their rolling resistance is so low it feels like cheating compared to the Ignitor I previously had mounted on my rear wheel and their climbing traction is unbeatable for a tire that rolls so fast. If you notice slippage problems during climbs, try mounting the tire backwards so the ramped knobs are pointing the other way. This will slightly increase rolling resistance but will dramatically increase grip. Easy to install on Mavic 819 without compressor. Smooth ride on hard pack and gravel. No problems on roots and rocks. 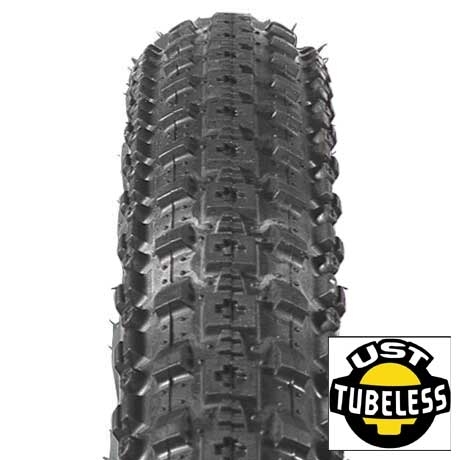 Great tire if your tubeless. Stans no required. Went up and downs hills like a dream. 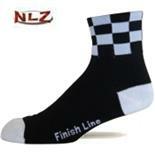 BUY THEM!!!! I mounted the tire & filled with Stans and the tire has been great. I run it on the back with a UST Highroller up front. I run various pressures depending on the terrain and there have been no issues. I was skeptical at first, because of the issues with Stans, but no issues here. Fast rolling, durable, good general performer. Holds air well. OK, I used it for only a month but rode about 800 kms on all kinds of conditions - tested on the front only. I weigh 195 lbs and ran about 35 lbs of pressure. I read and heard a lot of reviews of how this tire would slip out and wasn't great on the corners. I also have a few friends running this 2.1 on the front with Larson TT on the back, who raved about it, so opted to try it on my race rig. After having no issue over a weekend at Kingdom Trails VT in wet conditions, I used this tire at the 2010 Crank The Shield 3 day, 250 km stage race. The conditions were terrible - mud slop mostly but also sections of fireroad and road. Amazingly this tire did quite well, but let's face it - it wasn't a wet conditions tire. If you are a good bike handler you can get through anything with this but compared to other tires tried, I did note that the right type of mud or diagonal root can take you down fast. I found myself sliding this tire through sections and was cautious as it would slip laterally in certain conditions - particular in ruts and over roots . My race partner had a Nevegal and didn't experience this to the same degree. On gravel, dirt and some types of mud it was very good and dependable. 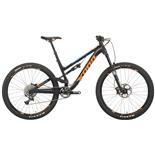 It isn't light but a very good balance of weight and robustness for a rider of my size. 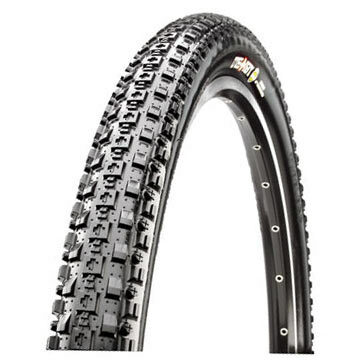 So, I would recommend it as a good endurance race tire but not for east coast style trail riding where a little extra knobs will keep the rubber side down. 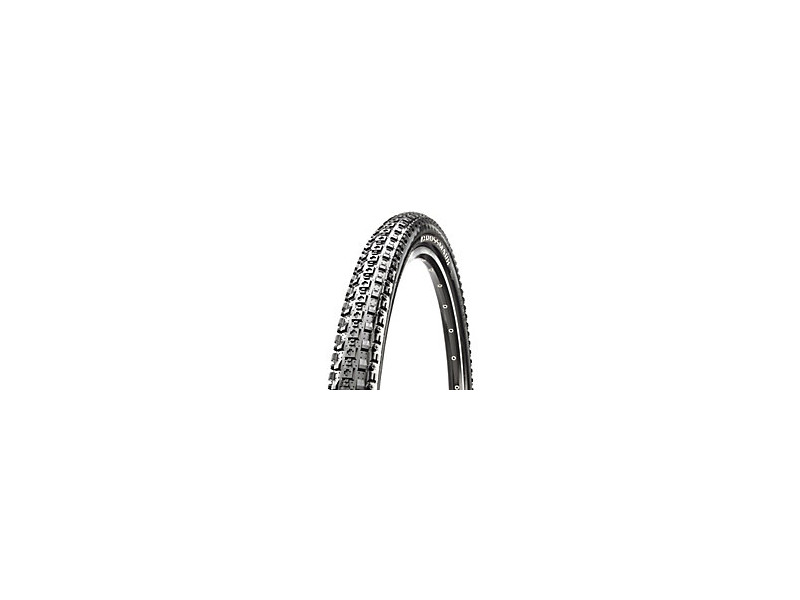 Great Rolling Resistance. Decent Cornering. Like em, BUT the LUST is very weak. The sidewall tore on me when the back tire went into a bit of a rut on a super mild part of the trail. I wished I was could say I was doing some crazy maneuvering, but honestly I was just chillin and riding slow. I was not running them super low either. I really liked them, but feel like the sidewall strength was weaker that expected. I bought a Nevegal and like it. 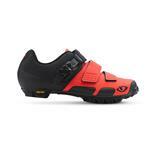 It rolls and does not get globbed up with dirt like the crossmark.